Carly Fiorina was born in Austin, Texas, and she currently lives in northern Virginia, just outside of Washington, D.C. Those two locations, however, don't even begin to cover her life story. Fiorina grew up in several different places, both domestic and abroad — although she doesn't seem to talk much about the specifics of her childhood. This trend of bouncing around from place to place at a young age seems to have greatly influenced Fiorina's life. She attended college at Stanford University, graduating with a Bachelor's degree in philosophy and medieval history (take that, liberal arts naysayers). She then attended law school at the University of California, Los Angeles, but she dropped out after just one year. Instead, she went on to get her MBA from the University of Maryland and a Masters of Science in management from the Massachusetts Institute of Technology. 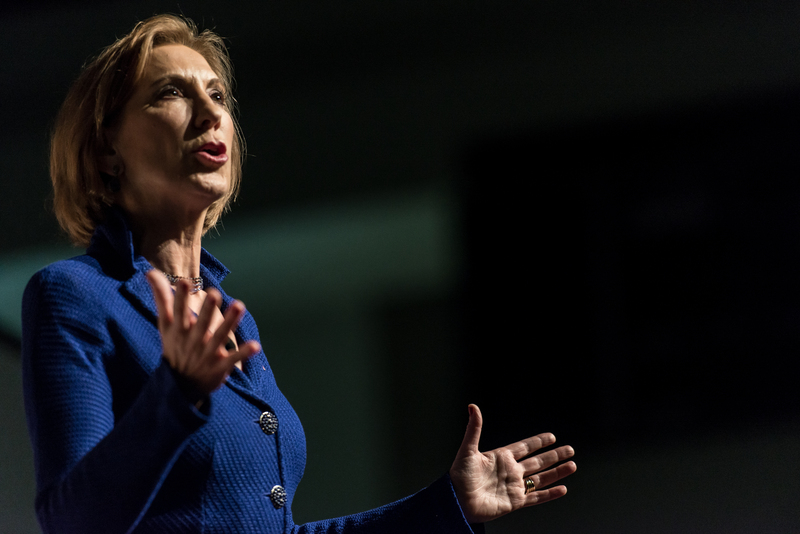 While in her 20s, Fiorina also spent time in Bologna, Italy, where she taught English. As it turns out, Fiorina isn't the only current presidential candidate with a unique educational experience as a child. Donald Trump attended a private school in Queens, New York, until later transferring to the New York Military Academy, where he finished out his eighth-grade year and high school. Jeb Bush famously attended and graduated from the prestigious Phillips Academy in Andover, Massachusetts. It's hard to tell which town Fiorina would consider her "home." For now, that distinction is given to Mason Neck, Virginia, a small town of just about 9,000 acres and 2,000 people. If she lands in the White House next year, it's safe to say she'd have no trouble adjusting to Washington (at least, not to the city itself).